Advertise on these high contrast and light intensity digital screens located inside Ikeja City Mall – ICM, one of the most premium shopping malls in Lagos. These freestanding 65 inch screens are located at Entrance 1, 3 and the cinema area of the mall. They offer advertisers the opportunity for mobile engagement using technologies such as QR codes, SMS and Wifi. Therefore, advertisers have a platform to display customized messages on mobile devices and activate campaigns digitally. 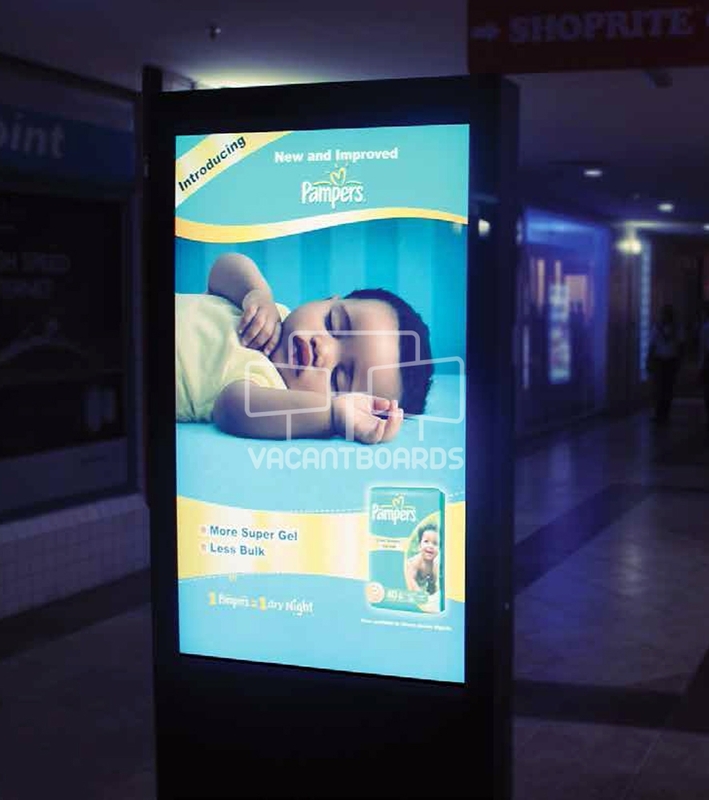 Digital Out-of-Home not only offers flexibility but also chance to create truly impactful and unique advertisements. Advertise on these high contrast and light intensity digital screens located inside Ikeja City Mall – ICM, one of the most premium shopping malls in Lagos. They offer advertisers the opportunity for mobile engagement using technologies such as QR codes, SMS and Wifi.